Our complete white-to-black belt courses were designed with you in mind. Perfect for training at home for personal learning, or for earning rank. Follow along with easy to learn from video lessons, and follow along classes. Watch on any phone, computer, or TV. If you have questions you can communicate directly with your instructor. After submitting your video rank exam, you receive video feedback with tips and comments. Our black belt instructors have years of experience teaching in their own schools and through our online programs. Here are some cool statistics about our online martial arts university students. 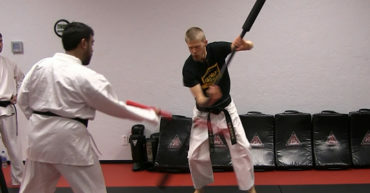 Nunchaku vs. Bo – Which Weapon Wins? + GET 5 AT-HOME TRAINING GUIDES! Get Prepared to conquer your next Black Belt! JUST ENTER YOUR EMAIL BELOW AND YOU WILL IMMEDIATELY RECEIVE THE VIDEOS & GUIDES! In his own words: “I stared taking Tae-Kwon-Do when I was about 7 years old and feel in love with it. I went for a few years then, like any kid, decided to do something else, so I played baseball for a hand full of years. When I returned to training I realized how much I had missed it and vowed to never stop again. I was 16 when I earned my Black Belt in Tae-Kwon-Do and am now a 3rd Degree Black Belt and head instructor at my gym. I also trained in ju-jitsu and kickboxing, then made the transition to fight MMA which was a blast. I was 18 when I had my 1st child and it wasn’t easy balancing training and fathering but I had a wonderful wife who understood my passion for the martial arts. She even blessed me with a son 13 months after the birth of our daughter! Through all that I always had a day job, then training and teaching in the evening. Just last year I was able to quit my day job and make teaching my life and I haven’t looked back since! The instructors chose to David for his great start to training with us, and earning his level 1 rank. He also took the time out to come and visit Mr. Koppel in person at this school, just to get some extra work in. In his own words: “I am an attorney with the law firm Dentons. I assist companies investing in the Middle East through joint ventures, mergers, acquisitions and public-private partnerships. I was previously with the U.S. State Department, based out of Washington, DC, the United Arab Emirates and Syria. I currently reside in Saudi Arabia. 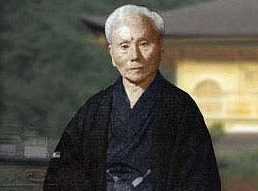 As a graduate student, I studied Aikido and later continued with Taekwondo under the instruction of Sadiq Tajuddin. 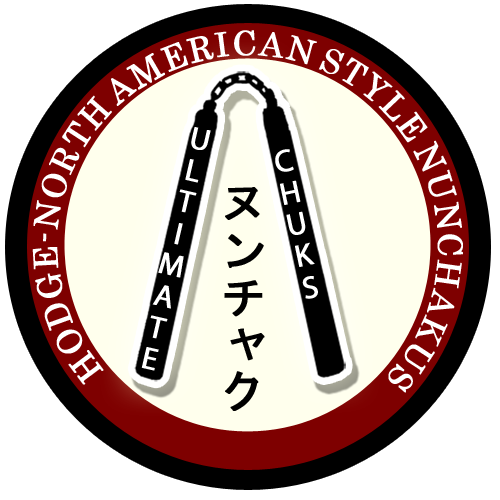 I have independently studied the nunchaku and now, under the tutelage of Sensei Michael Hodge, am studying bōjutsu, an art form I have found to be at once graceful, elegant and physically challenging in its demand for agility and precision. The martial arts are to me a way of cultivating discipline, physical prowess and sharpness of mind. The student of martial arts becomes a steward of special skills and knowledge, but must never use those skills or knowledge to bring harm to any person. If ever attacked, the martial artist should use his skills to neutralize the attacker, but do no harm, thus implementing the words spoken by Jesus 2,000 years ago: “do not resist an evildoer”; “turn the other cheek”; “love your enemy” and “pray for those who persecute you” (Matthew 5:38-44). Outside of the world of law and the martial arts, I am a cellist and classical guitarist and my photography, paintings and drawings have been exhibited in New York, Dakar and Paris. I have also written extensively on law, human rights, and international affairs. Much of my writing is available at Amazon (click here for my Author Page) and on my blog, Law and Liberty. Sensei Michael chose to highlight John this month for his obvious dedication to mastering the art of bōjutsu, his commitment to working in and supporting humanitarian efforts in the Middle East, and for characterizing the true spirit of a martial artist. I have just purchased the Total Krav Maga DVD box set. The quality of the DVD box set packaging is extremely good, the recorded material of high quality and it was delivered on time. The supplier, ‘Ultimate Training’, was very helpful when asking questions about the product and its contents – 10/10 for service and back-up. The quality of the recording is excellent as is the training material. For a beginner like myself, it is exceptionally well structured and extremely helpful. You see the actual Krav Maga strike or defense as it should be delivered at full speed, then in slow-motion and also from every angle. There is then a breakdown, which tells you more about the finer points of what is being done. A step by step guide takes you through the strike / defense and finally you are provided with a ‘drill’, this is a practice session that helps reinforce what you have just learned. Brilliant! The instructor featured on the DVDs (Michael South) speaks very clearly, is easy to understand and very concise in his instruction. I have just started a Krav Maga Training class, and find that the Total Krav Maga DVD set is an invaluable resource that helps me reinforce what I have physically learned, and if I’ve forgotten something in class, its more than likely explained on the DVD – just great!!! The Krav Maga Workout DVD is excellent, as it really works your body and helps with conditioning. I have no hesitation in recommending this Total Krav Maga DVD Box set. I am doing this course at home with my 2 kids.All three of us are students.It is great fun and very bonding experience.The videos are very clear and easy to follow.The purchase experience was very satisfactory.The curriculum is well structured with clear timelines.For those who have busy lifestyle like myself and would like to spend useful time with their families,I highly recommend this course especially the new edition. 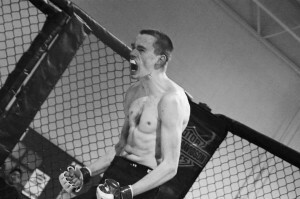 I have trained in Martial Arts on and off for 12 years and have competed in Mixed Martial Arts and amateur Muay Thai. In 2010 I suffered a back injury in training and as a result I can no longer train in MMA or grappling without being in considerable discomfort for days afterwards. After a long lay off from training I was interested in getting back into the martial arts and wanted to train at home to get myself in decent shape and learn some new techniques with a view to joining a new martial arts gym when I felt ready. I came across Sensei Michael Hodge’s website by chance and after watching a few of his clips on the internet I decided that I would buy some of his instructional DVD’s & enrol on the digital version of the Total Krav Maga course. The customer service I received was excellent and Sensei Michael emailed me to welcome me to the course and to assure me that if I had any questions about the course then I could email him and he would respond straight away. I also received updates on the delivery status of the DVD’s that I had ordered and they arrived by airmail in just over a week(I live in the UK). The techniques are broken down very clearly in a way that anybody could understand. I consider myself to be a slow learner but I have been able to learn many new techniques after just a few weeks of studying the videos and I am looking forward to learning more. The techniques in the Total Krav Maga course are very simple but very effective and are designed to be used by anyone regardless of size, I have been practising with my girlfriend who has no previous martial arts experience and she is able to execute the techniques on me effectively and I outweigh her by almost 90lbs. For those older students out there who are concerned because Sensei Michael South and Sensei Michael Hodge seem young I can assure you that they are both very knowledgeable and very methodical in their teaching and that age is irrelevant(my attitude is that most of the worlds top sports stars are younger than me and they are at the top of their game!). Overall I am very satisfied with my purchases and am planning on trying out some of Sensei Michael’s other DVD’s. I’ve been doing martial arts off and on over the past eleven years. As a young adult, after being in a severe car-accident, I acquired a disability that gave me the necessity to be able to handle confrontation as a last resort. At first, I hopped from dojo to dojo, but never really found what I felt I needed. Usually, the sensei’s would charge costs that were unreasonable to say the least, and I could only train two hours max at their facilities and then be expected to test. The most frustrating part about this was that unless I paid them close to $100 in order to get a private lesson, I would be expected to know all the material for the next test with very little to go off of. I finally was able to test for red belt in Tae Kwon Do, but by the time I got there, I felt like I’d learned very little. Not so with the program here. Even though I’ve only been using it for a few months, I’ve discovered myself progressing faster than I did through years at other facilities. I’m currently working as an English teacher in Montana, and needless to say my schedule can be beyond hectic. In spite of this, the fact that I can sit down any time, and actually see what the techniques are instead of just going by rote memory is proving invaluable. My confidence has boosted, but my back account hasn’t foundered like it did at my previous practices. Most dojos have only 2-3 sessions per week, and like I said, private lessons can break the bank. Here, though, I am the master of my own practice, and with respectable/knowledgeable instructors such as Sensei Jon and Sensei Michael, I know that any question I need an answer on is only a few hours away via email. 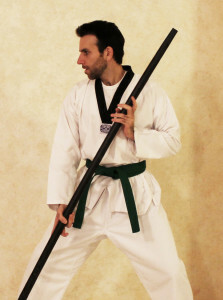 I have many years experience in the Martial Arts and have been a teacher for some time. I had to move last year and my training was interrupted so I began the course as an inducement to practice. I got so much more than I bargained for! It was a joy to go back to the basics and work deeply again with helpful feedback and encouragement. I found the course really strengthened my practice and extended my skills. As teachers we can pick and choose and play to our strengths. Jon was meticulous in his feed back and identified all the areas where I could improve. My Karate has improved during this time of study and this can be clearly seen now I am teaching again. I will keep studying with Jon as I love his teaching style. With my unpredictable schedule, keeping a weekly or monthly commitment isn’t really practical. I’ve been looking for something to teach me on my own schedule and the Ultimate Bo series fits that perfectly. Being new to martial arts, I needed something that would start from the beginning. Each lesson is broken up into clear and concise steps making it easy to memorize the forms. I purchased the digital copies which made it easy to put on my phone so I can train on the go. Thank you, Michael Hodge, for keeping me on track! The one down side to training on your own is not being held accountable, but I really feel like you guys care about my progress, so thank you! If you are tired of piecing together random instructions from Youtube, and you are ready to get serious about learning this stuff, these videos are required! Well presented and detailed course. The instructors are professional and provide excellent feedback. I would highly recommend this course to any person wanting learn karate. A great way to practice karate and earn a real rank. I found the system to be professionally done with excellent feedback from the instructors. The learning videos have been very helpful in providing insight on the correct way to do techniques. I would recommend this program to any person interested in learning karate. 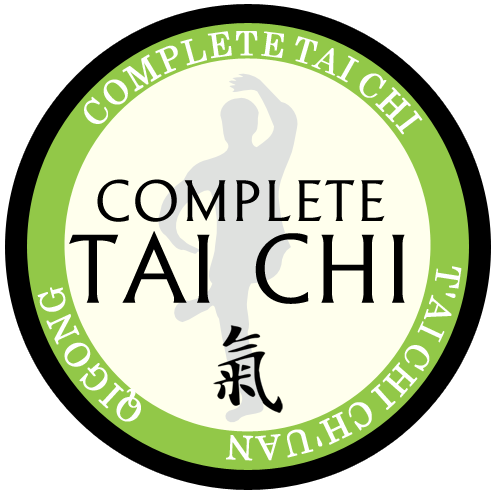 Coming from several years of martial arts study, and a black belt in Tae-Kwon-Do and Hapkido, I cannot recommend this at-home program enough. The DVD’s are well structured and easy to navigate. The picture and sound quality are clearly professional and well done. The instructors are professional, clear and detailed in their instruction. If you are thinking that you can’t learn a martial art at home, think again! 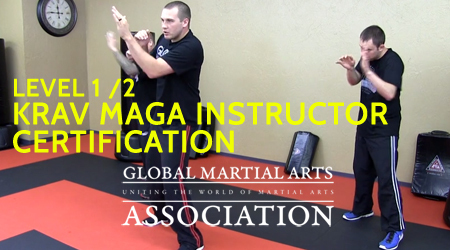 This program is structured in such a way that with hard work and dedication you can succeed in learning a martial art on your own. 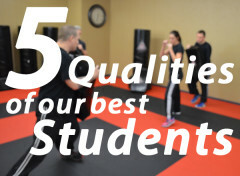 Best of all, you can earn actual rank through the unique method of belt testing through video submission with feedback from your instructor. Thank you to Jon and his team for putting together such a quality product and training program. I have been studying martial arts for several years now studying Kenpo Karate and I always wanted to learn a traditional martial arts style of Karate, I searched everywhere and I finally came across the Black belt at home website and I ordered the DVD and it was one of the best decisions I made in my martial arts training, Great Instructors and awesome training material. Its a must have for anyone. I believe that these video’s is an excellent way to to train and expand your knowledge. These videos are put together in a manner which makes it easy to learn.The feed back after testing allows a person to improve in the areas that are needed. I have been doing martial arts for the last 8 years or so and this is a whole new world! The requirements are tough, practical, and very beneficial. 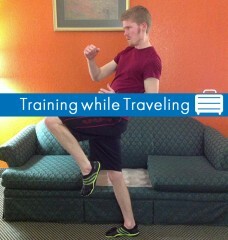 I was cautious trying an online martial art course but was completely wrong. If I need help, there is an instructor there to answer any of my questions and they make sure I understand (which has been more then what I’ve gotten from face to face conversations with my previous instructors). The courses are clear, well put together, and very easy to learn from. Thank you guys for this great chance and I highly recommend all of these courses! I’m a proponent of self-study and distance learning, so I was pleased to discover Complete Shotokan Karate’s 8 DVD set. I have taken good advantage of technology-enabled distance learning before, in subjects ranging from graduate engineering studies to personal fitness. From my experience, I know that self-study is not for everyone, and that one gets out of this sort of training no more than one is willing to put in. I have been a traditional, in-class student of several styles of martial arts, including Shotokan and related styles of Karate. I had the advantage while serving in the military to work out in a related style in Japan with Japanese police and members of the Maritime Self Defense Force. Which is to say, I’m reasonably qualified to judge “authenticity” in the art. 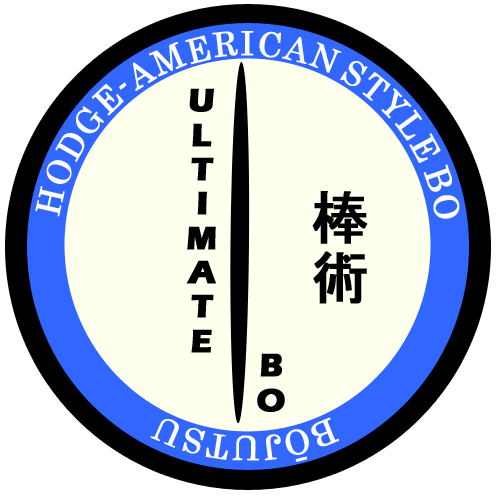 As I have begun to review Sensei Hodge’s instructional DVDs, I’ve been fully satisfied by the clear, well-explained lessons he presents. I’ve found both Sensei and his instructor son Michael to be very accessible. I have emailed them and received same-day replies, and on questions regarding peculiarities of hand positioning or foot movement, the Hodges have been understanding. Like me, their backgrounds include Chinese, Korean, and Japanese martial arts. I can state with confidence that if a student had learned fundamentals from live instruction, they would find working with this DVD set very easy to do. For those who have not had the advantage of live instruction, I think that Sensei Hodge’s training is well enough designed that the student could become proficient as long as they were willing to put in time and serious effort to their training. I’m very familiar with Krav Maga. I know what makes a good product and what doesn’t. Michael can be proud of this product. There are other DVD’s that have been around for a long time, you’ll see their reviews as high ratings, this should also be considered one of their contenders. While right now I have access to the online courses, the videos themselves are well done. The techniques are broken down and easy to understand. I’m a hard critic of my self defense, this passes the field test. Great resource to have if you are a Coach, an Instructor, or just someone trying to learn great self defense that doesn’t have access to training locally. 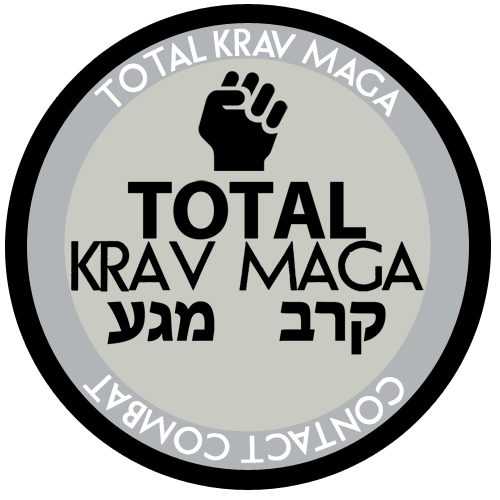 Its a great resource and must have for any Krav Maga enthusiast. This is the first time that I have ever tried any sort of distance learning so I was a bit skeptical when we ordered the DVDs but that all changed when I got started. The material is excellent and very helpful. 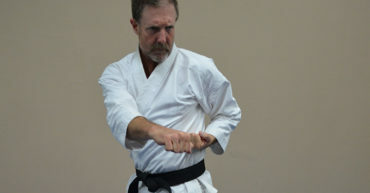 It is clear that Sensei Michael has a genuine interest in helping his students develop. 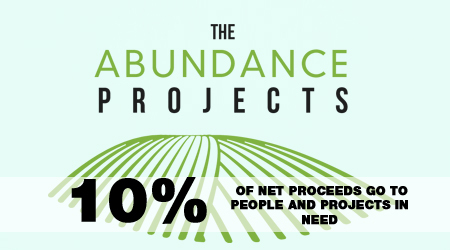 We are excited about going through the process! Thank you Sensei Michael!! I want to share my chucks home training experience. First I want to say that distance training fits me fine as I feel very free to practice went I have time ! Of course It’s very important to practice regularly, 1/2 hour 4 days a week cant be enough. Chucks can be physically challenging but for the learning and the warm up it is possible to practice “tai-chi” like movements. I started this course in 2014 and I am preparing myself to the blue chevron test. I take my time, I really found the way to improve myself. Ahh of course, I confess that don’t understand a lot of what Sensei says because I’m French and Texas accent is hell but… just have to watch, watch again and repeat the same movements. Training with Sensei Hodge since June has been great! What I love about this course is the supplemental materials and the one on one belt test feedback. 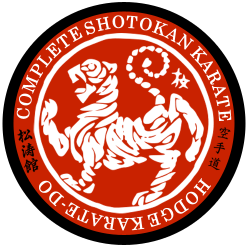 The feedback has helped me to better train myself, little tips like posture make me a better student of Shotokan. I’m constantly slowing the dvd down, rewinding, looking for foot movements. See that is the thing, with the home study course you can take time, view the techniques at your own pace. Get the forms down in your own mind first then follow along. No way in a traditional Karate class could you ask the Sensei to “Slow down, now stop there so I can see which way your toes are pointed.” But with the DVD’s it’s all at your own pace. Much praise for this program! I’ve been in Tae Kwon Do since I was 6, and earned my black belt at 16. I’ve since trained in ju-jitsu and competed in amateur MMA. I now teach full time at a facility and wanted to add some more practical self defense classes for my students, and their parents. That’s when I found this set. The videos are well done and very easy to follow. I’ve just now started a small class (me and one of my black belt students) just to get myself accustomed to the style but I can’t wait to add more in the coming year. A big thank you to Michael, and his group, for putting all this together. I’m 100% sure I’ll make this my 2nd black belt style! I have been training in martial arts for several years, and this program has given me some great new material to learn! I have some experience with traditional nunchaku work, but not much with freestyle/modern techniques. This course is easy to follow with quality instruction that you can view as many times as needed. The best part, though, is the feedback from Sensei Michael. He responds quickly and with detail to questions you ask via e-mail, and the personalized test video response is a great learning opportunity as well. I am very pleased with this course, and I look forward to continuing my training with Black Belt at Home and the Global Martial Arts University in the future.